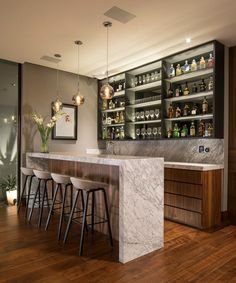 Get more with less: bar design inspiration. Nowadays is hard to impress and succeed. With so many different concept restaurant and bar decor ideas, it’s harder to make an lasting impact on a customer. Creating fidelity and affinity may be a struggle and trying to compensate with expensive decoration to impose an idea may hurt you! With this on our mind, we started to look for a few tips to help you save time, as well as some money, if you’re starting a new restoration project. According to Kyla Coburn of Kyla Coburn Designs, a designer responsible for decorating some of the most popular and enticingly atmospheric restaurants in Providence and beyond, you shouldn’t try to impose an idea to the space. 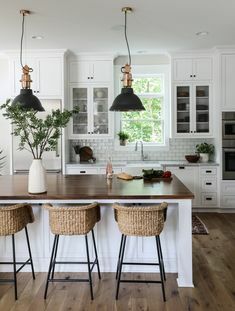 Instead, the interior designer advises to embrace the architecture to minimize problems and costs and invest you money into more visual and tangible elements with which the costumer can interact, touch or smell. 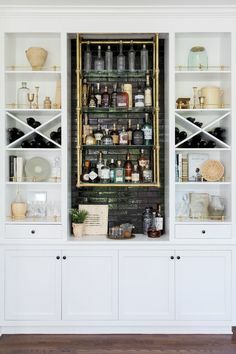 Taking inspiration from the bar design ideas in the image above, you may see how in the first image there is a strong industrial presence in its architecture, and how they embraced it, not bothering covering the piped ceiling and even added a few decorating pipes into their wall display of bar set for a better impact. 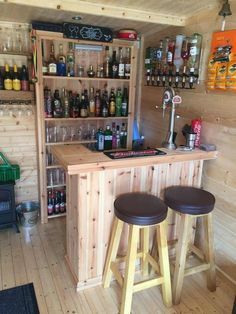 In the image above, they gathered inspiration from the wood architectural design of the space’s ceiling and incorporated the style into their bar decor ideas, which resulted into a more rustic atmosphere, with a nature-friendly vibe, even ‘tho it doesn’t have many “green” features. It’s all about understanding your surroundings and what might work with what you already got. Crystallizing your establishment’s identity and making a detailed plan before you start any purchasing, or building, saves you from having to make costly course corrections down the road, and helps you having a guideline in order to not get lost in the process. Ask yourself questions like how will the clients describe the space in tree words or how much will cost a specific product, to help you understand who your public is and what do you want them to feel when they’re in your establishment. 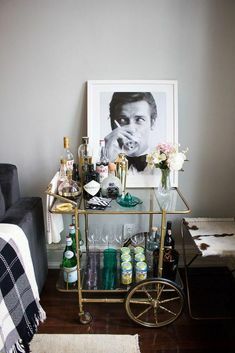 From the bar decor ideas present in the image below, we can see that you don’t need to go overboard and add extravagant elements to make a memorable place. 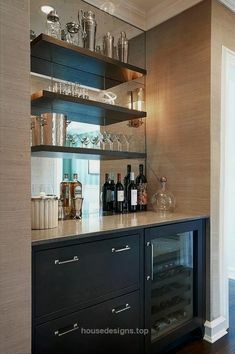 Many times less is more and you can archive an amazing look with a more minimalistic bar furniture as well. Diversity is essential. Even tho you may have more than one bar or restaurant, you need to keep the spaces diverse and with different “stories” per say, to not fall in the error of becoming a “one hit” type of restaurant/ bar chain. 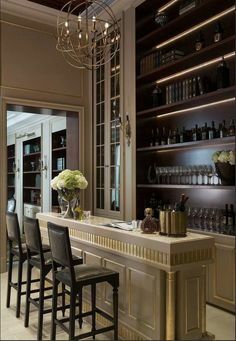 Also, try to bring different restaurant/ bar furniture to your restaurant/ bar decor ideas, cultivating the diversity, as it will add more aesthetically pleasant elements for your customers to be “hypnotized” by. After the planning is all done, time to start spending some money. 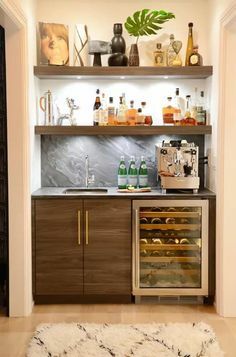 This said, as you at this phase already have most of your restaurant design ideas, and/ or bar decor ideas, to ensure you have money enough for those key elements that you feel are really necessary and will give a major twist to the space, it’s important to buy them first. Per instance, in the image above, a big part of the bar decor ideas are around the ceiling adorned with plants. 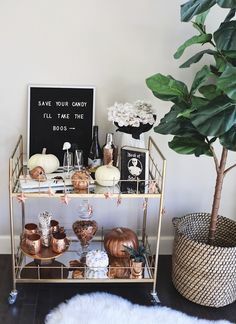 It’s important to buy these primary focus elements first because this way, even if you don’t really know what kind of bar decor ideas or furniture you may want to add, these first items will help you smooth the process and help you visualize de space. There’s two sides to this coin. In one hand, customization will add a differentiating touch, as it will be a product found in your establishment and nowhere else. However, it’s not cheap and if you want to customize products to make them special, bare in mind you’ll have to spend a good amount of money. 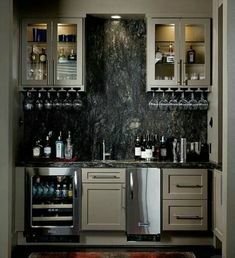 In the image above, we can see from this bar decor ideas that they have costumized the space to make it more unique. This for sure makes a big impact, not only on their clients but also on their wallets. Just remember, if you really wish to customize, make sure to not spend all your budget in it or else you’ll end up with an unfinished look. A luxurious statement with sleek mid-century modern lines. Get a sense of tropical hospitality with Essential Home’s lighting. As the last tip on bar decor ideas fall upon us, I shall tell you that it’s all about the little details. 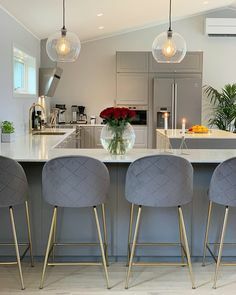 Don’t get too excited and buy big and expensive pieces as later on you may need some extra money to buy those complementing elements that are so important and you may miss. Those little details are what will make the space more comfortable and approachable for your customer. They’ll get in, notice the big impact items and later on, when that’s no longer news, they’ll start looking for the little things that “warm up” the space and make it so special. To summer up, plan every single detail, make sure you don’t forget who you are and the feelings you want the space to portray. Be careful in what you spend your money and don’t get too excited to not go overboard. Don’t forget the little details, the vase you’ll put in the corner or the carpet in the entry, per instance. 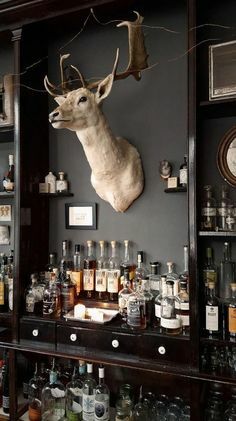 This ends our bar/ restaurant decor ideas journey. We really hope you found the article interesting and it helps you in your project. Make sure to share your thoughts with us, we’d love to hear them!